Grant Motors has a wide selection of exceptional pre-owned vehicles to choose from, including this 2010 Ford Econoline Commercial Cutaway. This vehicle is loaded with great features, plus it comes with the CARFAX BuyBack Guarantee. The Econoline Commercial Cutaway is well maintained and has just 117,936mi. This low amount of miles makes this vehicle incomparable to the competition. The quintessential Ford -- This Ford Econoline Commercial Cutaway speaks volumes about its owner, about uncompromising individuality, a passion for driving and standards far above the ordinary. 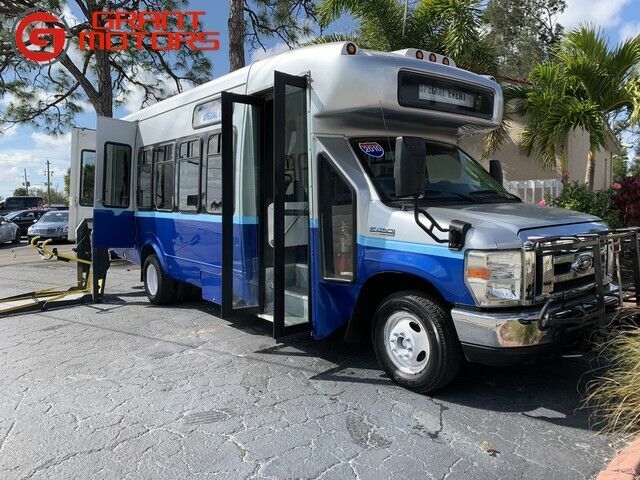 Based on the superb condition of this vehicle, along with the options and color, this Ford Econoline Commercial Cutaway is sure to sell fast. Check out this gently-used 2014 GMC Savana Cargo Van we recently got in. Drive home in your new pre-owned vehicle with the knowledge you're fully backed by the CARFAX Buyback Guarantee. This is the one. Just what you've been looking for. The quintessential GMC -- This GMC Savana Cargo Van speaks volumes about its owner, about uncompromising individuality, a passion for driving and standards far above the ordinary. You've found the one you've been looking for. Your dream car.